According to the Embassy of the People’s Republic of China in the Central African Republic, three suspects suspected of killing three Chinese citizens have been arrested by the Central African police. 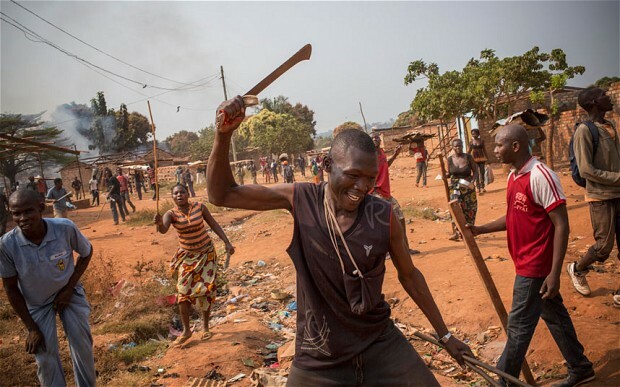 On October 4, in the city of Soso·Nakombo in the southwestern part of the Central African Republic, four Chinese citizens working in the area were attacked by a group of local mobs, resulting in the death of three Chinese citizens. The other person was seriously injured. On October 6, Chen Dong, the Chinese ambassador continued to urge the Central African side to intensify its investigations and demand a thorough investigation of the death of Chinese citizens. At the same time, Chinese and African parties have mobilized a large number of police forces to rush to the relevant mining areas according to the requirements of the Chinese Embassy, ​​to find and concentrate Chinese employees, to protect their personal and property safety, and to mobilize 58 Chinese vehicles to be found. All citizens were escorted and placed nearby in the stable capital city of Bebelati. Ambassador Chen Dong fully affirmed the actions taken by the Central African police to protect Chinese citizens and the determination to arrest the suspects involved. Chen said that China is currently paying close attention to the incident of Chinese citizens’ murder. The Chinese Embassy in Central Africa once again reminded that the security situation in Africa is not optimistic. Politics Central African Republic. permalink.